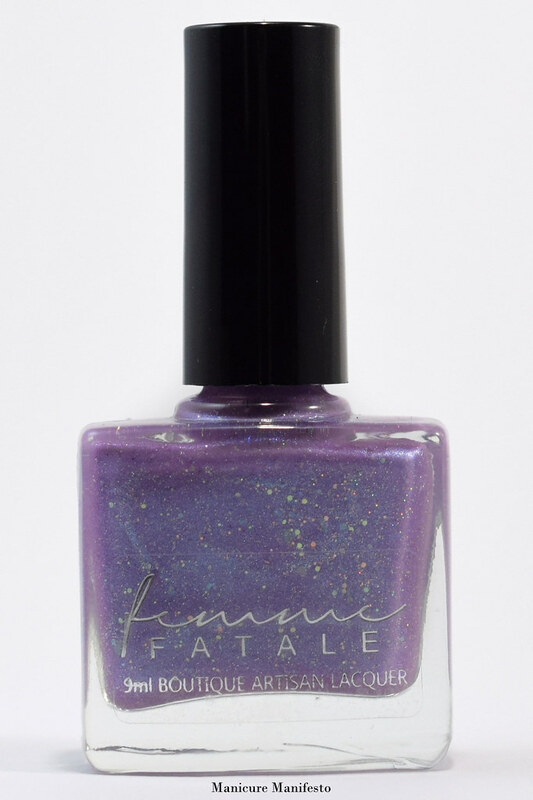 Luna Lament features a medium lavender purple base with a strong blue flash, tiny holo glitters and a sprinkling of iridescent hexes and sheer blue flakes. The formula was easy to work with. It seems a bit sheer on the first coat but builds up easily to full coverage in two. 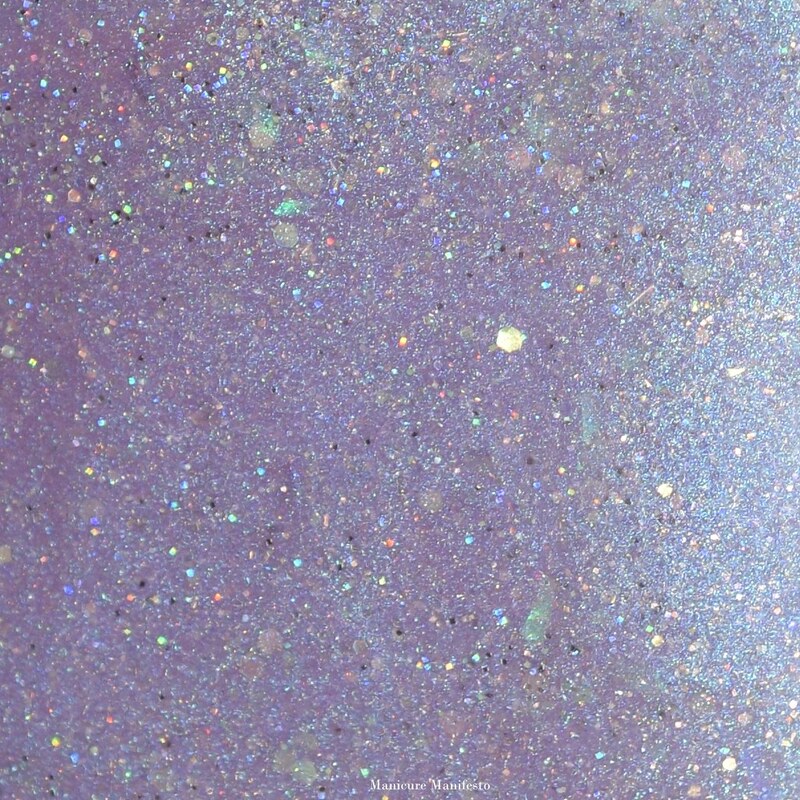 The iridescent glitters and flakes are a little less visible on the nail than in the bottle, but they come out to play when they catch the light just right. Photos show two coats of Luna Lament with one coat of Girly Bits Cosmetics What A Rush top coat in daylight spectrum lighting.